Snellville, Georgia (CNN) Police in Georgia are searching for a man suspected of killing a police officer who was answering a call about a suspicious vehicle near a middle school, authorities said. Sgt. Jake Smith, Gwinnett police spokesman, said Sunday that several locations in the area were checked. A SWAT team executed a search warrant at the home of a suspected associate of Maynard, near the initial location of the shooting, Smith said. “He’s still at large as far as we’re concerned,” Smith said. A second suspect, Isaiah Pretlow, 19, was arrested and has been charged with aggravated assault, police said. Toney, 30, was responding to an anonymous 911 call reporting a suspicious vehicle parked near Shiloh Middle School on Saturday afternoon when he was killed, police Chief Butch Ayers said. The caller believed the vehicle occupants might have been smoking marijuana. The officer was approaching the car when, police say, Maynard fired a weapon from inside the vehicle and struck him. Another officer returned fire and dragged Toney away. He died at a hospital, Smith said. Police have not released details about Toney’s injuries and have not said whether anyone in the suspects’ car was hit or how many shots were fired. After the shooting, the suspects’ four-door black sedan sped away and crashed about a mile away. The suspectsfled. Police believe Pretlow was driving the car and that as many as four people were inside. At some point after running from the car, Pretlow pointed a gun at an officer and the officer fired his weapon at him, police said. Pretlow, who was not injured, is facing an aggravated assault charge stemming from that encounter. He ran to a wooded area but was arrested hours later by US Marshals, police said. 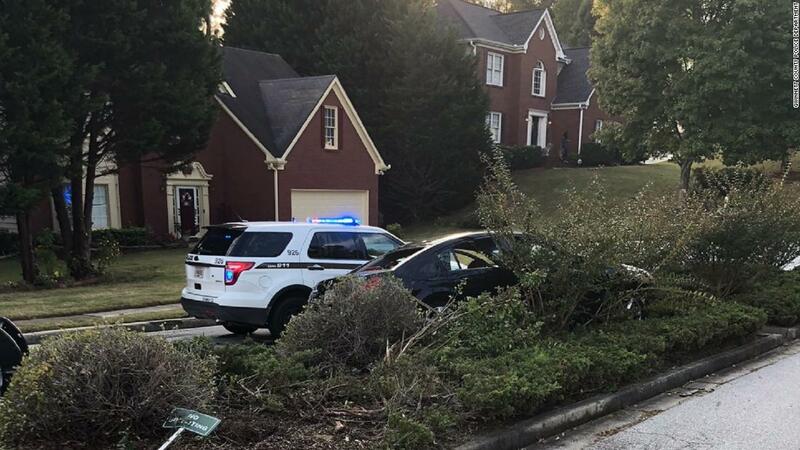 Police presence was heavy Saturday evening in neighborhoods a few miles east of Stone Mountain as officers and SWAT and K-9 teams searched for those who fled the car. A helicopter was also seeing flying above the vicinity of the middle school. Toney, who was originally from Southern California, had been with the department for almost three years. 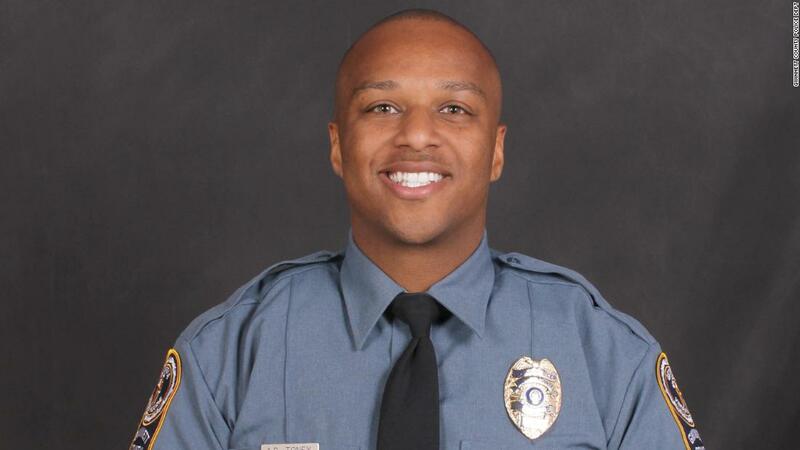 Before he was an officer, he had been a security guard, police said. His Gwinnett colleagues “recall a very jovial person who was dedicated to his job and dedicated to his community,” Ayers said. A memorial was set up in front of police headquarters in Lawrenceville and flags there were at half-staff. Gwinnett County is in the metropolitan Atlanta area and has 920,000 residents. Toney’s killing is the first line-of-duty death in the county since May 1993, when an officer was killed in a traffic incident. Smith urged anyone with information about the shooting or Maynard’s whereabouts to call the police tipline at (770) 513-5710. Smith also said Crime Stoppers is offering a $5,000 reward for anyone with information. Tipsters can remain anonymous.